A frisbee trick the involves allowing a disc in flight to travel under the leg without touching the disc. 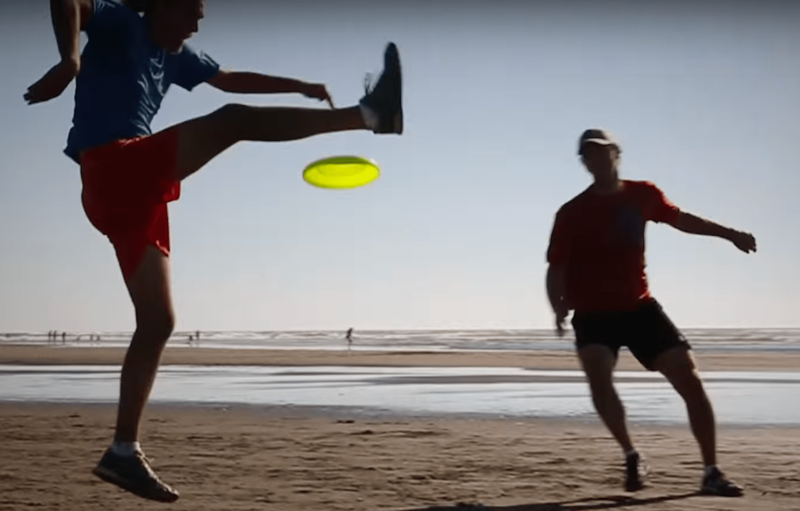 For a leg over to be “official” either another player must touch the disc after the leg over or the player performing the leg over must perform an additional restriction before touching the disc. An example of the former is a leg over to someone else’s catch. An example of the latter would be a leg over behind the back catch. A leg over is not to be confused with an under the leg trick in which the disc travels under the leg and is then touched by the same player with no other restriction. For example an under the leg catch or under the leg set are not technically leg overs. 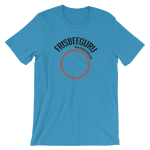 A frisbee trick that involves creating a hoop or circle by touching the fingertips together and extending the elbows. Then a disc in flight travels through the hoop. The disc in not touched by the player. Sometimes used to describe any class of tricks that involve interacting with the disc without touching it. A term that describes the level of restriction for a given Frisbee trick. The disc must travel “through the window” for the trick to be completed. For example, an under the leg catch requires the disc to pass completely under the leg before it is caught. This is a relatively large window since; the leg does not restrict hand movement, hand movement does not restrict leg movement, there is ample space between the leg and the ground, and body timing is fairly simple. A flamingitosis, on the other hand, has a very small window since; body position restricts hand movement and timing must be precise for the disc to fall into the hand. Alternate term for a Hoop. A specific type of hooped pass where the hoop is created by assuming a bad attitude position. Example: How did she get the disc through that tiny window? Sam’s third reglue attempt. It took 5 attempts before this nail stayed on. Nail Hell describes the feeling when one’s freestyle frisbee nails repeatedly pop off during the jam. There is disagreement in the community as to whether it takes two or three losses of the nail for one to officially be in Nail Hell. Either way, Nail Hell is especially miserable because the desire to jam is always strongest when others are jamming in plain view. Yet, if the nails will not stay on, one must sit down and reglue. Example: I always end up in Nail Hell when the weather is cold like this. A description of the spin direction of a flying disc. Third World is the third spin, or end over end. Any spin that is not clock or counter may be considered third world. Example: I am working on a Third World Scarecrow. A description of the spin direction of a flying disc. Short for clockwise. When describing spin direction, it is customary to use a top down perspective of the disc. A disc that appears to be spinning clock from the top will appear to be spinning counter from the bottom, hence the top down perspective is used no matter the vantage point. When a disc is upside down, the top down perspective is still used. Thus when a disc is turned over, its spin direction reverses. For a disc that is tilted, use the side that is the most upward. For a disc that is perfectly perpendicular to the ground, use the top side of the disc. Example: Throw me some clock. See also: Counter, Third World. A description of the spin direction of a flying disc. Short for counter clockwise. When describing spin direction, it is customary to use a top down perspective of the disc. A disc that appears to be spinning counter from the top will appear to be spinning clock from the bottom, hence the top down perspective is used no matter the vantage point. When a disc is upside down, the top down perspective is still used. Thus when a disc is turned over, its spin direction reverses. 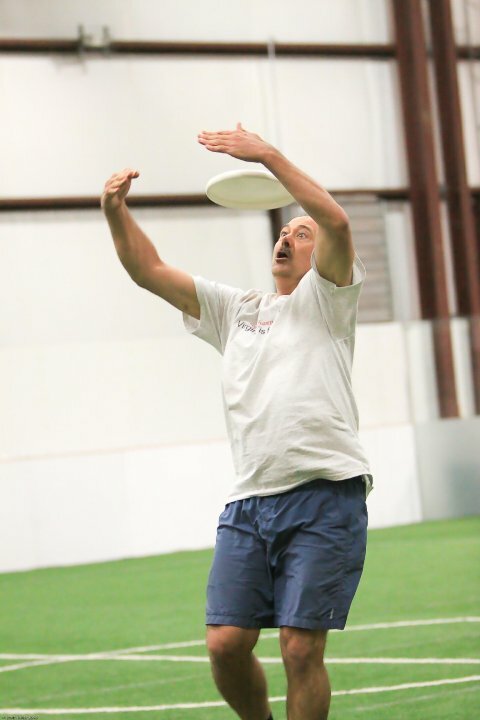 For a disc that is tilted, use the side that is the most upward. For a disc that is perfectly perpendicular to the ground, use the top side of the disc. Example: Throw me some counter. See also: Clock, Third World. To perform incredibly high quality Freestyle Frisbee tricks. Example: I love watching Fabio Sanna shred. Moon Dog is a new freestyle catch by Matt Gauthier. He shared the idea for the catch on the drive from Portland to Seattle on July 3, 2014. Later that day, he tried it and completed the catch at Green Lake Park. The next day, he caught Moon Dog in competition at the Potlatch freestyle championships in Redmond, Washington. Grovel: Verb. To perform extraordinary measures in order to save a disc that is seemingly out of reach. Groveling includes diving, crawling, rolling, or other actions that are not part of expected frisbee play. Groveling usually results in the jammer ending up on the ground. Ex. “Way to grovel for it.” See also: Bid.